Now I will start by saying I am not actually an Iron Maiden fan. What I do love is all the band tees on the high street and in particular this cool print on an acid wash base. Band tees are a great purchase for festivals and here I have teamed it with a lurex pleated shorts from H&M and my jelly shoes from Meduse. These photos were taken in Barcelona near the port. My boyfriend had taken me out for a gorgeous meal to a fish restaurant called Carballeira. If you are ever in Barcelona I recommend a visit to this restaurant as we had some of the best fish and wine I've ever had, it was so fresh and wasn't remotely touristy which was ideal! 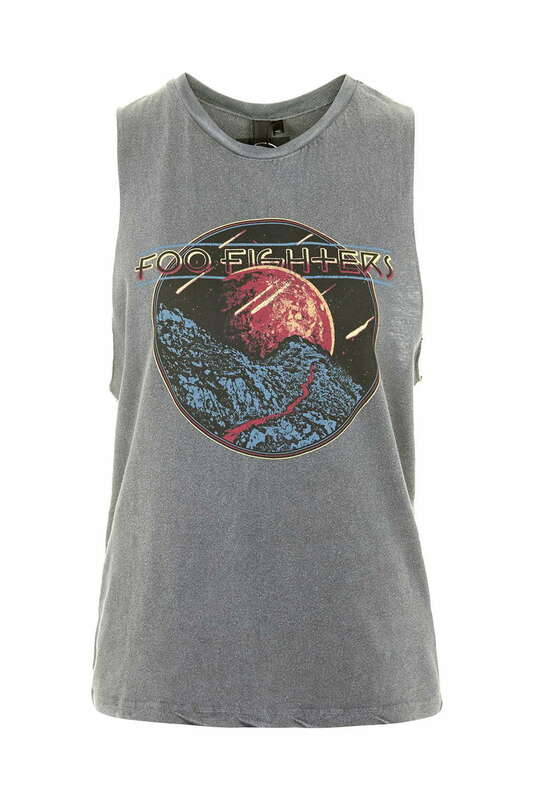 Below I have selected a few more band tees that I am loving at the moment. Let me know your thoughts and you guys would wear them.